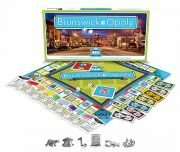 Brunswick Downtown Association | Supporting the community of and businesses in Brunswick Maine. 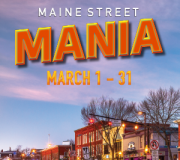 Supporting the community of and businesses in Brunswick Maine. 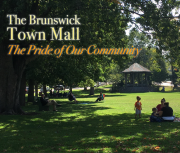 NEW 2019 Video: The Brunswick Town Mall – The Pride of Our Community- This video was created for the BDA Annual Meeting which took place on the Bowdoin College Campus on Wednesday, January 23rd. ”. It was produced by the BDA with technical assistance and editing by Charlie Hudson. Enjoy! 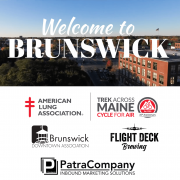 BDA’s “A Day in the Life of Brunswick, Maine” Video- Take a look at our new video! Created by Trevor Geiger, BDA Events & Membership Coordinator. Brunswick Maps Available!- Pick up one of BDA's newly redesigned maps at the Brunswick Visitor Center at 16 Station Avenue or click on the map image below to view the 2-sided map.